Save $1000's and your valuable time buying any new car. No Fees - No Memberships, 100% FREE. Since 2001. Best Price new Mazda 2 – maximum discount with highest level service. 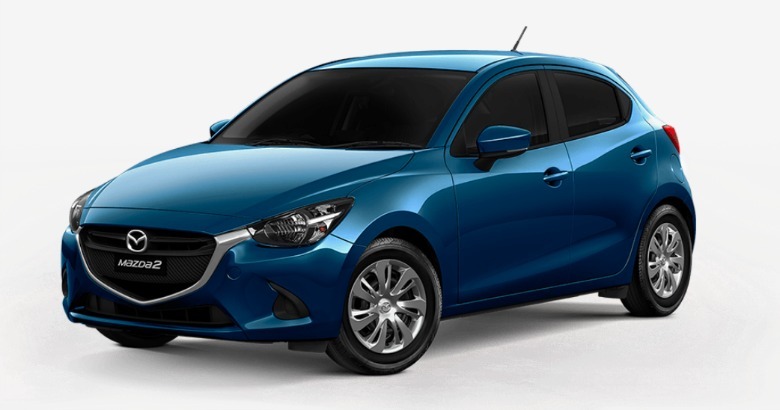 We’re saving new Mazda 2 buyers $1000’s every week securing Australia’s best Mazda 2 deals. Choose any new Mazda 2 model and the options you want. Be it the new Mazda 2 Genki, GT, Maxx, Neo – Hatch or Sedan. You’ll get the best price without having to go head-to-head with dealers. Yes – we’ll make sure you get the highest possible price for any car or cars you may be trading in as part of buying your new Mazda 2 – or any new car. You’ll get a drive-away price, there are no fees, no memberships and our service is 100% free. New Mazda 2 Tweets ? Please be advised that the following content is sourced from Twitter and their users – not from anynewcar.com.au. We hope you find some useful information in your research of the Mazda 2 amongst these Mazda 2 tweets. The new Mazda 2 combines unmistakable Mazda lines and design inside and out. It’s a beautifully finished well-appointed small car that stacks up very well against its competition. With four model variants, a sedan or hatch to choose from as well as two engine levels there’s something for everyone looking for a small yet roomy car. Also, being that the 2 is a fair way along the ‘model cycle’, it now also has the benefit of some great refinement. Any New Car is about you being in control – saving your valuable time and money. We’ve made getting you the maximum discount on any new car quick and easy. We promise you a genuine opportunity to secure the maximum discount on your chosen new car (in writing) without obligation or pressure. No fees, no memberships – 100% FREE.